We are in the midst of re-imagining the methods we use today in the classroom. When I review a lesson suggestion like I discovered this morning titled “Jesus and Prayer ” by Mike Amodei, I quickly ask myself, How could I teach this same lesson in ways that our typical Digital Natives could really become engaged with? Allow me to share how I would restructure this lesson so that it is a “blended” experience of the following: At home reflection, integration of technology, small group sharing, and maximizing the F2F time in the classroom, and encouraging our students to become Digital Disciples. In our next class (add the date) we will focus on the occasions when Jesus prayed. Using the online New International Bible version, please look up the following Gospel references that provide background on each occasion. After you have read the verses, working in groups (link to a PDF file where the groups are assigned), create a video that summarizes when and how Jesus Prayed. I am encouraging you to collaborate with one another using Google + Hangouts. Or, you may want to meet over lunch with one another. This way you can plan your script and implement your digital project. Animoto – Creates a 30-second video with images, text, and music. VoiceThread – a collaborative, multimedia slide show that holds images, documents, and videos and allows people to navigate slides and leave comments in 5 ways – using voice (with a mic or telephone), text, audio file, or video (via a webcam). Vuvox– Use the COLLAGE feature for WYSIWYG online multimedia layout and sharing. As a team, decide on the tool that will best express the story you want to tell about when and how Jesus Prayed. If you are not familiar with the tools, check out the tutorials that are often included on the website. You may also want to go to YouTube and search for (Tool Name + Tutorial) for a brief video tutorial about the tool. 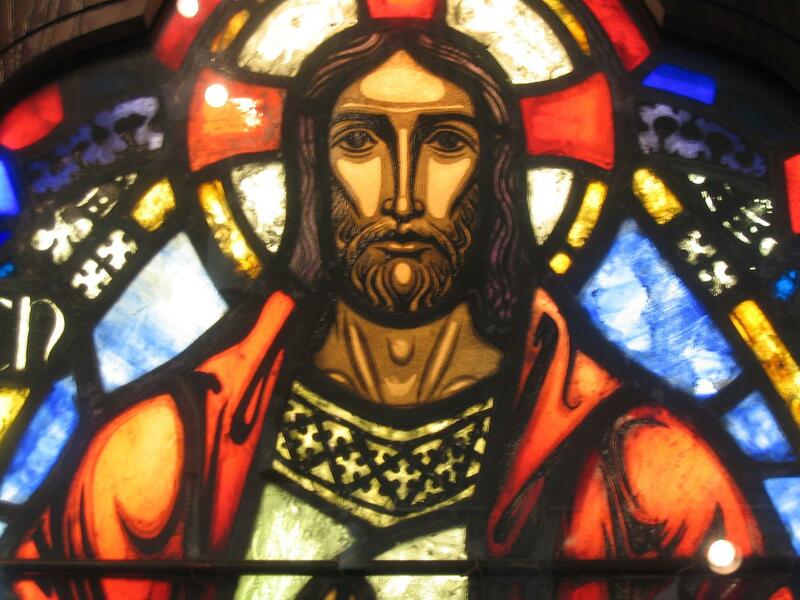 Jesus Teaches about Prayer – summarize and rate – http://www.quia.com/sv/593711.html the readings about prayer. Note to catechists: Using an online survey tool (e.g., (Quia – survey; Survey Monkey) you can convert the questions into an online survey form. (Here is an example (http://www.quia.com/sv/593711.html ). Depending on the responses, you can discuss as a class why students feel that the prayer is – 1—very difficult; 2—difficult; 3—somewhat difficult; 4—no problem at all. You may wish to have other questions ready, depending on the responses from the students. Include the project links in the Class blog. Invite your students to share their group projects with their FB friends, and add a faith-based message. This is an example of how this lesson could be re-worked using the tools that our students have easy access to. Of course, it may happen that a student does not have Internet access at home. Here is where you encourage them to work on these projects via the school or local library. They may even have a good class friend where they can work at their home with the home assignment part of the class. More importantly, I’m assuming that you are teaching in a 21st Century Style classroom, where you are able to bring your laptop or tablet and have easy access to the following: Internet, LCD Projector, Screen, and Speakers. If not, you do not have access to these tools, it is time to start advocating for them. After all, we are now living in the 21st Century! In addition, you have Acceptable Use Policies in place and mentor your students in being good Digital Citizens. Would love to hear how you might adapt this lesson so that it is a blended approach fitting of the 21st Century. If you feel that this is a good example of 21st Century teaching, please do click on the “Like” button.